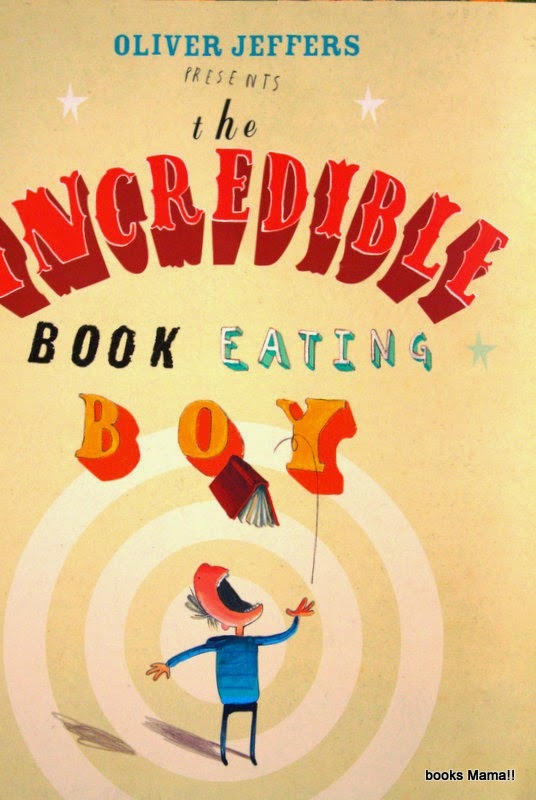 'The Incredible Book Eating Boy' by Oliver Jeffers comes with a disclaimer 'DO NOT EAT THIS BOOK AT HOME' :) and chances are you might be tempted to give it a nibble ! Bookworms will love it ! It's about a boy Henry, who accidentally discovers that he loves eating books. He eats all sorts of books, story books, dictionaries, atlases, joke books. More books he eats, the smarter he gets, even smarter than his teachers. Henry loves being smart. But is his book-eating method a really smart way of gaining knowledge ??? Henry soon finds out. It is a beautifully illustrated book with a funny story line. The illustration are creatively done on different types of paper. Some are drawn on cardboard,some on old books and maps. It appeals to children and adults alike. For children it's pure fun. Lots of laughter, guaranteed ! My son spent a lot of time with the book. Mature audience will appreciate the fact that there is no short cut to gaining knowledge and becoming smart. It is a great read aloud book for 5 years and above. A wonderful way of introducing children to different medium for creating beautiful illustrations. A great way to telling children that stories can be told effectively and creatively told through pictures as well. You do not always need words, sentences and long paragraphs. How about encouraging them to make flip books and their own comic strip ? Found an interesting interview Oliver Jeffers - the artist/ illustrator/writer here. Hope you enjoy it too!